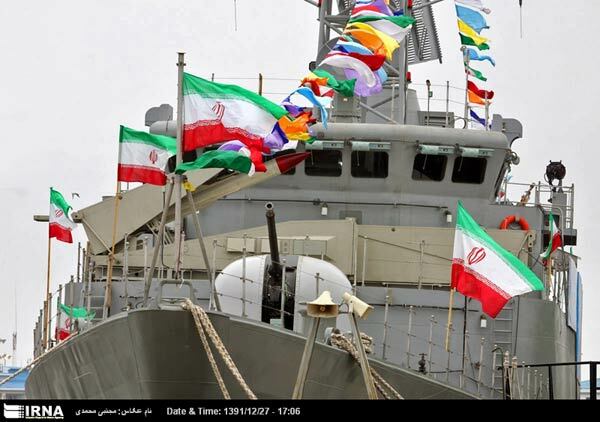 Iran has dispatched a flotilla to Astrakhan Port, southern Russia, on Wednesday with the aim of strengthening bilateral ties between Iran and Russia and expanding peace and friendship across Caspian Sea, said Iranian Navy Commander Admiral Habibollah Sayyari. Iranian flotilla has been present in many high waters since last year, including Mediterranean Sea and Pacific Ocean, he said, adding, Iranian navigators have been present in all high seas across the world and the Islamic Republic of Iran's flag has been raised in many international waters. Sayyari also highlighted Iranian Army's role in the establishment of peace in the Gulf of Aden, saying that security of the strategic gulf was of great importance since many Iranian trade ships were moving across the region. "The Islamic Republic of Iran's Army returned security to the region in a prepared program," he added. Iran will inaugurate a mid-class submarine in the current Iranian year (started on March 21), said Admiral Habibollah Sayyari. The submarine dubbed 'Fateh' (Conqueror) will be launched in coming months, Sayyari said. He also said Flotilla 26 of Iranian Navy is patrolling in northern Indian Ocean and will move in Bab Al-Mandeb and Red Sea. He further added that the flotilla's missions lasts for 3 months.